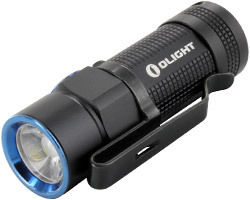 What Is The Best Home Flashlight? One of the brightest of its size! Rechargeable and dual fuel compatible. Budget-friendly yet powerful enough for daily use. Runs on 3 AAAs. The perfect around the house flashlight will have a combination of every day carry and emergency flashlight attributes. Naturally, an easily rechargeable flashlight with either USB or charging dock is a great idea, but you'll also want a light that can take backup primary batteries as well. While a house flashlight doesn't need to be the worlds brightest spotlight, more lumens can't hurt especially with a light that has multiple output settings. While EDCs are compact and easy to store, you may want to consider a tactical style flashlight for self defense purposes. These lights are typically longer (around 6-inches) and often feature powerful disorienting strobe modes and crenelated strike bezels. Tactical style lights come in a wide variety of power sources, many newer models that support recharging and primary batteries as well. Why just have one or two fancy flashlights when you can fill your house with more affordable one? 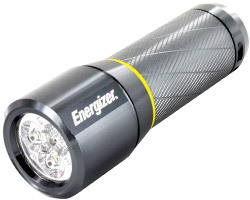 We've got a great selection of affordable lights from Energizer and Rayovac that can be stored in every spare nook and cranny of your home, giving you a major leg up in the event of a power outage or emergency. While these lights may not be as bright or be rechargeable like higher end models, they get the job done with long lasting primary batteries and their low cost, expendable nature.